이 건물은 1935년에 경성부 공연장으로 건립된 공연시설 건물로, 1954년에 국회의사당으로 사용되었다가, 현재 서울시 의회 건물로 사용되고 있다. 정초석에는 건물 건립 당시 경성부윤이던 일본인 다테 시오(伊達四雄)가 쓴 것으로 확인되는 “定礎 昭和十年六月一日伊達四雄“ 기록이 남아 일본이 한국을 침탈했던 뼈아픈 역사를 증언하고 있다. 지하1층 지상3층의 철근콘크리트조 건물로서, 전면 일부를 탑식으로 높여 권위성·상징성을 강조한 것을 볼 수 있다. 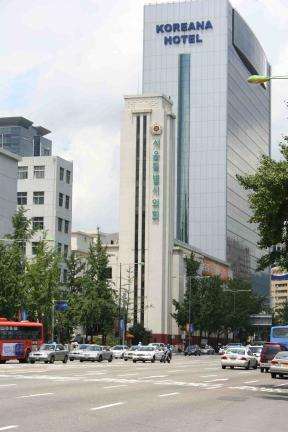 The former National Assembly Building was built for the public performance of Gyeongseong-bu (Seoul City) in 1935, and began to be used as the National Assembly Building from the time of National Liberation in 1945. 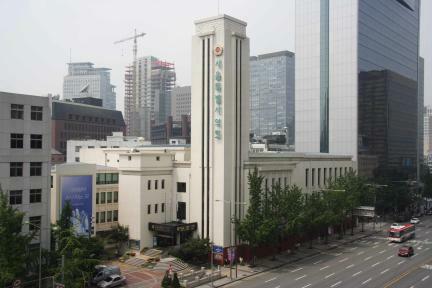 In order to function as a central government building, its entrance had to be demolished and its inner walls remodeled. However, its exterior was preserved in its original form. 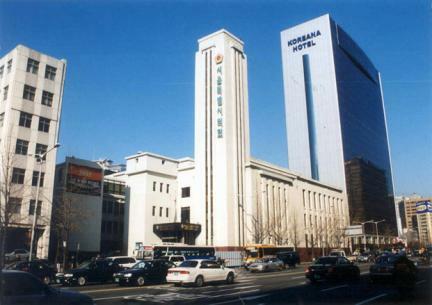 These days it’s used by the Seoul Metropolitan Council as an office building.